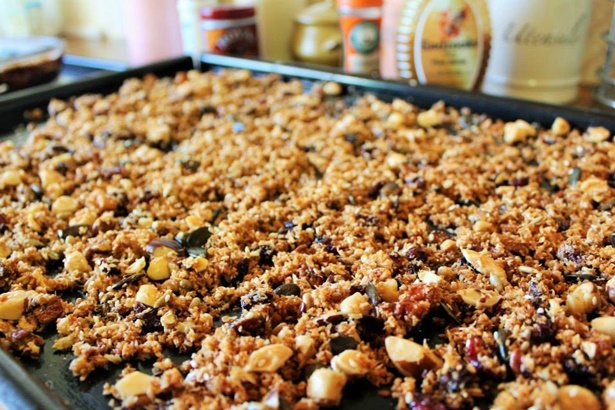 Thai chicken and vegetable noodle salad, grain-free granola, chocolate cheesecake and more! Whip up a big batch of grain-free granola on the weekend and have it all ready on a weekday morning to throw into a big bowl of Greek yoghurt. We've created these coconut bliss balls that are great as a little pick-me-up during a busy day. Keep them in the fridge though so that they keep their shape. WATCH how to make them below. Now that the weather is warming up (hello Spring! 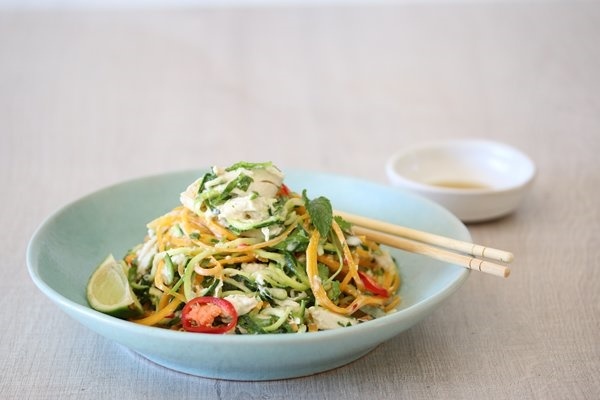 ), we're saying farewell to hearty stews and casseroles and making way for gorgeous, light and healthy salads - like this Thai chicken and vegetable noodle salad. Perfect as a #notsaddesklunch ! Did someone say cheesecake?! 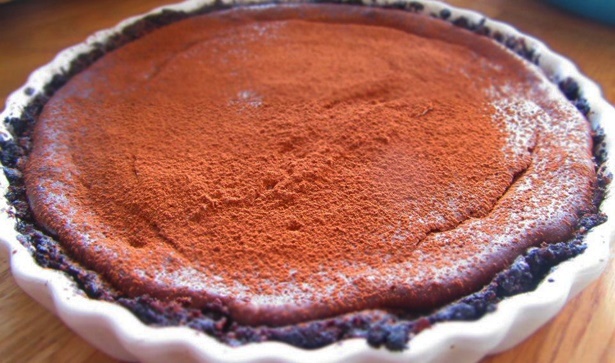 Here is a low carb version of our favourite chocolate cheesecake. It's dense and filling so a little goes a long way.